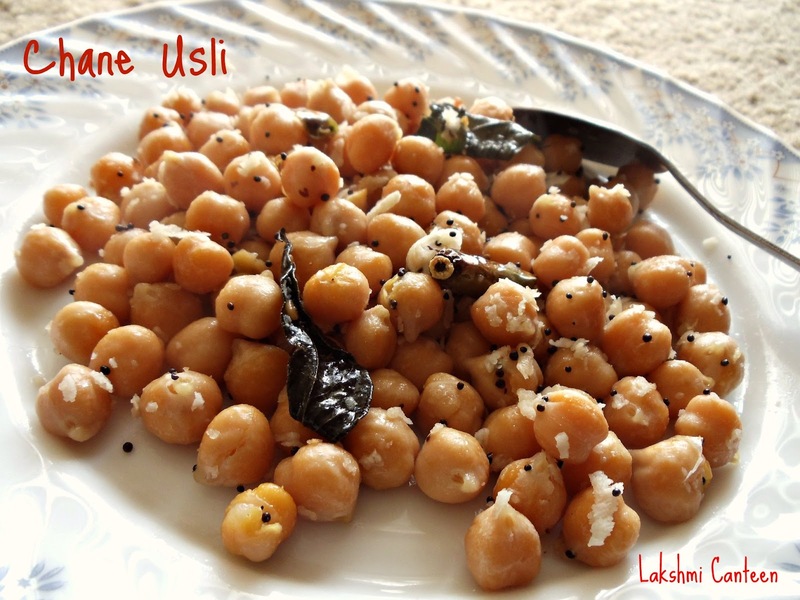 Chane Usli is a simple, protein filled breakfast. This is also known as Chane Upkari. 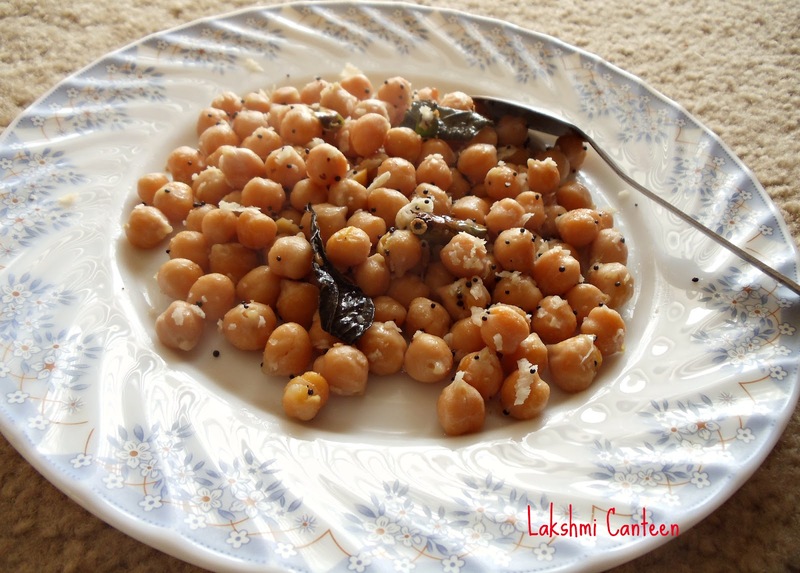 If using the canned chickpeas, then this is one of the quickest option for breakfast. This makes a filling breakfast, as chickpeas are rich in protein. Traditionally this dish is served along with Teek phovu (spicy beaten rice), which I will be posting soon.Try making this and enjoy. 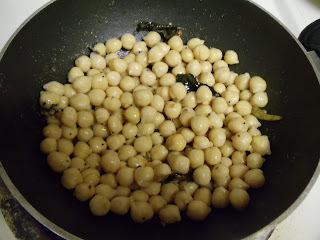 For cooking Chana (Black or white)- Soak it for 8 hours and then cook it in a pressure cooker with required amount of water and salt, for 3-4 whistles. If using canned, then rinse it properly using water. Now heat oil. Add mustard seeds. Once it starts spluttering, add chopped green chillies and curry leaves. Fry for few seconds. Now add urad dal and asafoetida. 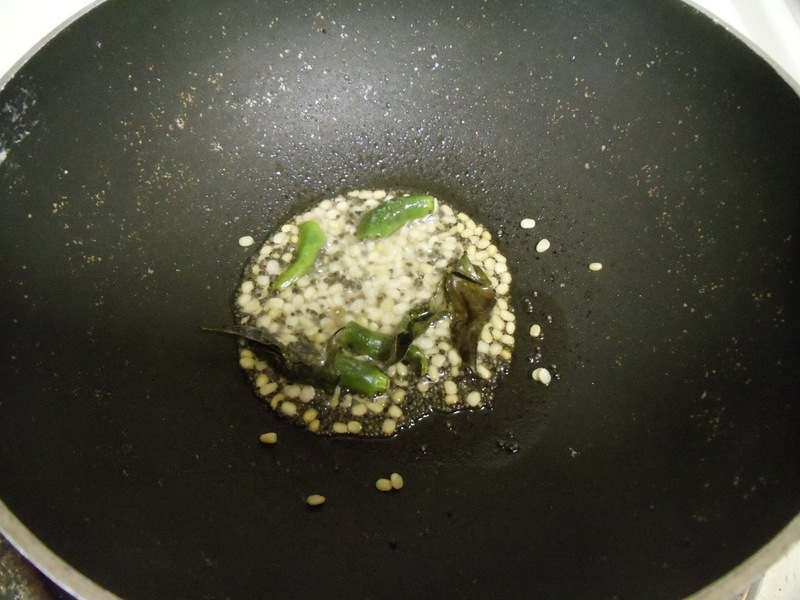 Fry until urad dal turns light brown. 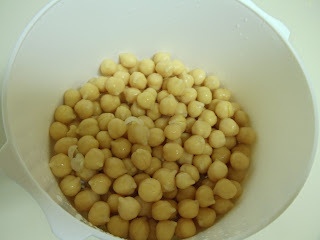 Then add cooked chickpeas (drain all the water) and grated coconut. Add salt, if required. Mix well. Continue heating for 3-4 minutes and turn off the heat. Chane Usli is ready! !